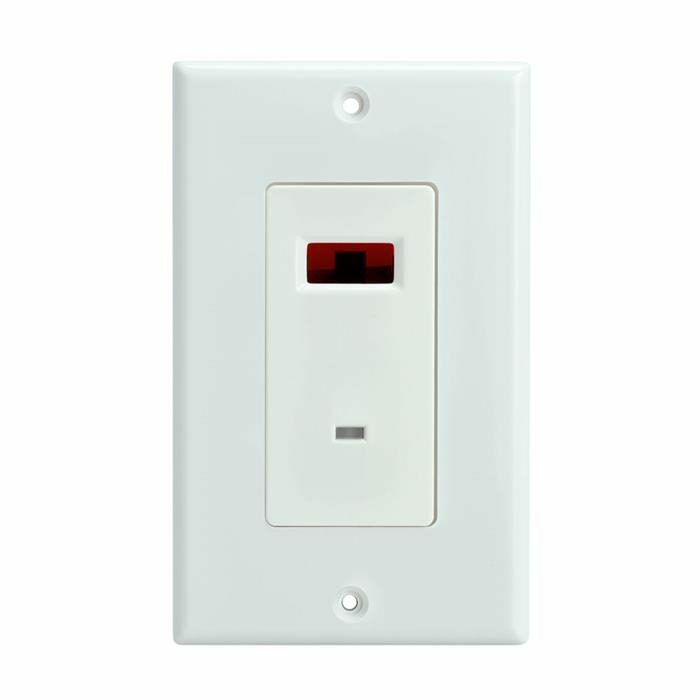 In-Wall Infrared Receiver receives IR signals from a handheld IR remote control and relays this to the audio/video equipment for operation from another room. 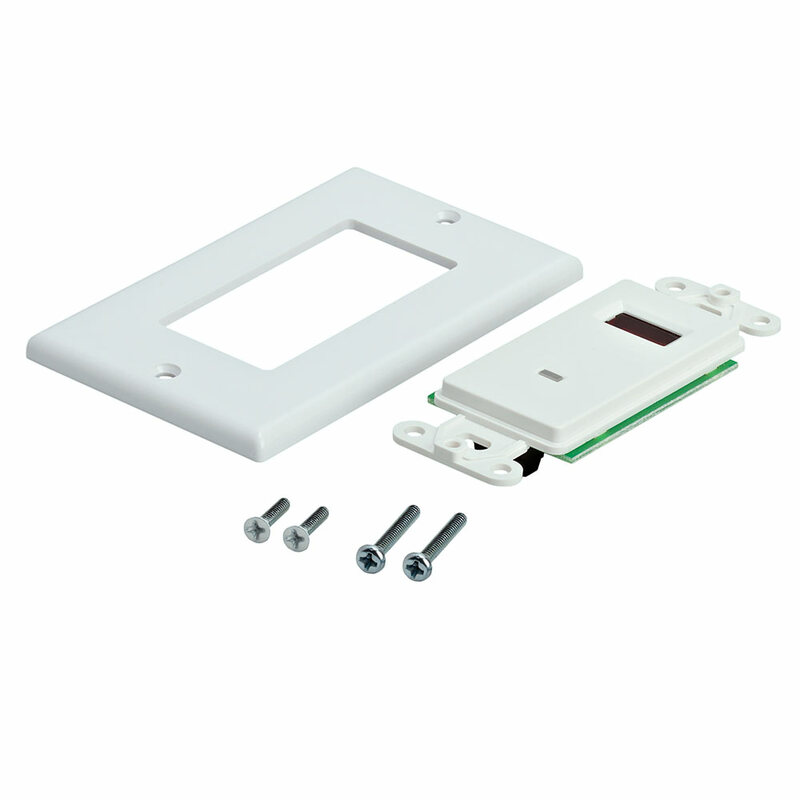 Mounts to a single gang standard electrical box using a decorate cover plate. Stylish decorate design. Available in white colors. Dual color LED. Green for system status and Blue for talk back. Ultra thin design. 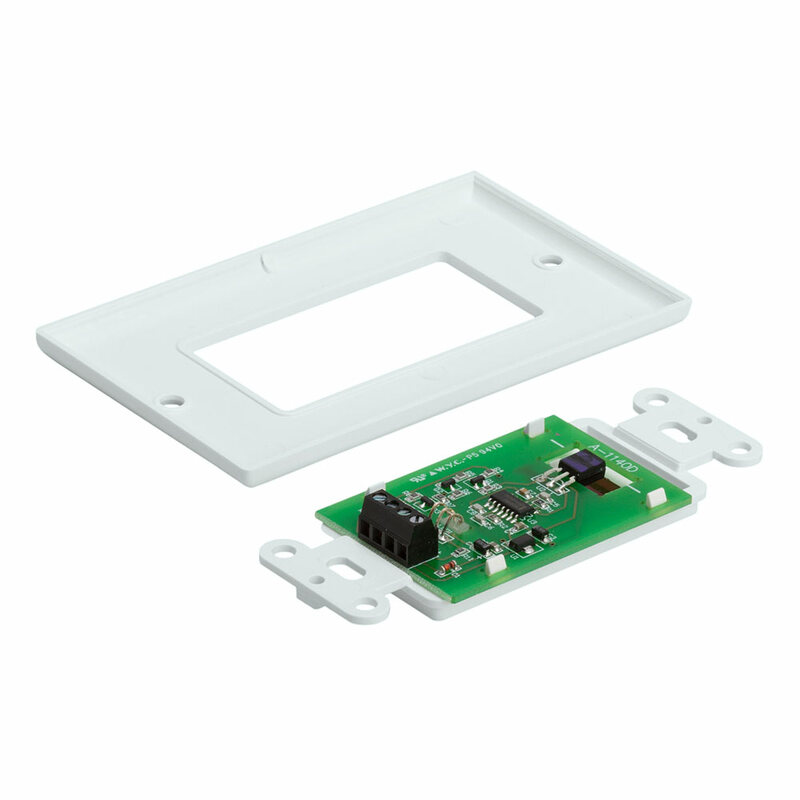 Mounts easily in any J-box or P-ring. Wide band IR. Receives IR from many types of remotes. Some HD Cable or Satellite operates at higher frequency signal. Cable Boxes like the SA HDTV DVR's and Direct TV H21. We recommend to use CAT5 or CAT6 twisted cable for installation.